Mosleh, L., Asadi, F., Safaian, R. (2013). Investigation on the Values of International Parishan Lake’s Plants. International Journal of Advanced Biological and Biomedical Research, 1(10), 1263-1270. Leila Mosleh; Farnaz Asadi; Roja Safaian. "Investigation on the Values of International Parishan Lake’s Plants". 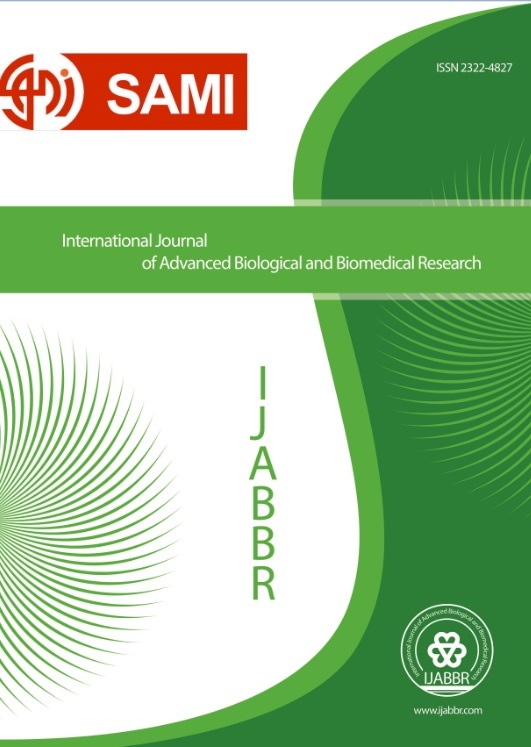 International Journal of Advanced Biological and Biomedical Research, 1, 10, 2013, 1263-1270. Mosleh, L., Asadi, F., Safaian, R. (2013). 'Investigation on the Values of International Parishan Lake’s Plants', International Journal of Advanced Biological and Biomedical Research, 1(10), pp. 1263-1270. Mosleh, L., Asadi, F., Safaian, R. Investigation on the Values of International Parishan Lake’s Plants. International Journal of Advanced Biological and Biomedical Research, 2013; 1(10): 1263-1270.